Spotted this so called new item at wal-mart. 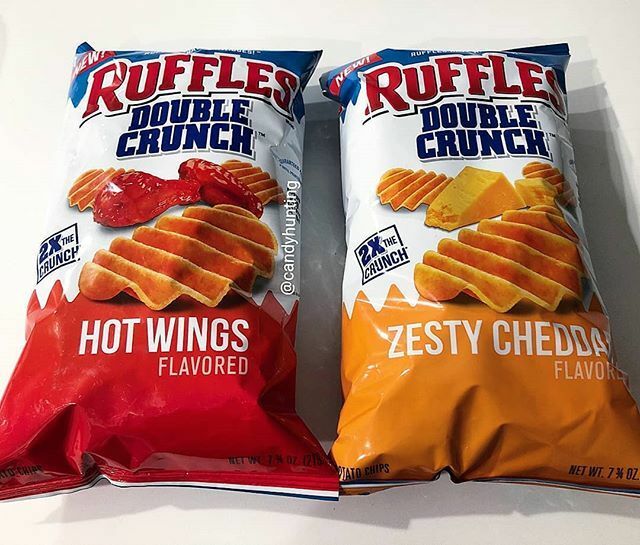 Seems like this is the former ruffles ultimate under a new name or the lays MAXX potato chip I reviewed. One thing is for sure. This chip- sure did bring in the crunch factor. Wonderful crunch factor. Sure is a slightly thicker chip than a wavy lays imo. I say this did have hot wings flavor. Sorta hot, not super spicy. I will give this chip a big thumbs up.